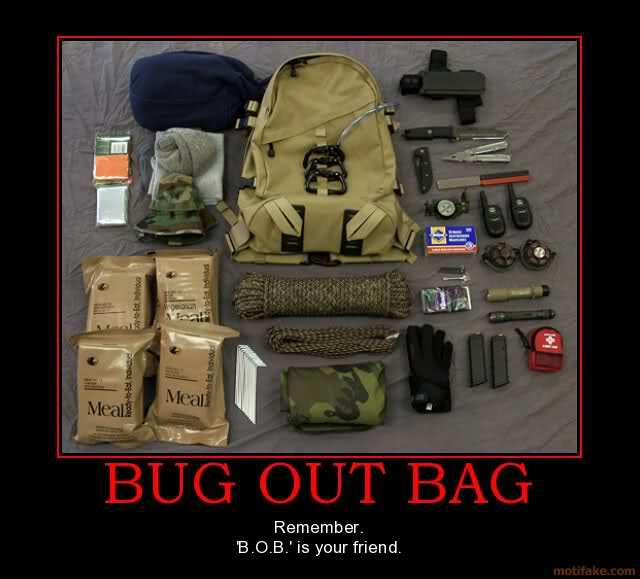 Seventy-two hour emergency kits, Bug Out Bags (BOB), or Emergency Survival Kits (ESK) are muey importante. These bags and their contents can mean the difference in a life or death situation. Let’s start with the bag itself. I prefer a zippered, waterproof, rip resistant, multi-compartment bag. Remember this bag will carry precious cargo and you get what you pay for. Do you want to bet your life on cheap equipment? Think top end backpacks, kayaking bags, etc. You will want a bag for your car, home, work if possible. This is survival, folks. You don’t want to be separated from your bag. Every member of your family should have at least one bag. In the next few days we will begin packing our bags, so stay tuned please. This entry was posted in Country, God, Louisiana, Nature, Patriotism, Survival, Survivalist and tagged Country, Louisiana, Nature, Survival, Survivalist. Bookmark the permalink.